All proceeds support farmed animal sanctuaries. 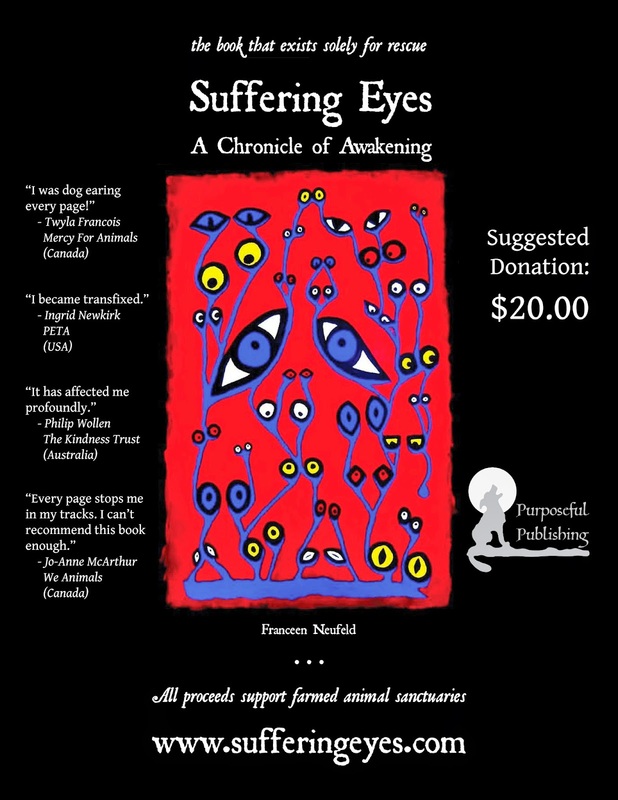 To date, the Suffering Eyes Project has donated a value of $20,050 in books and funds to sanctuaries worldwide. This project is sustained entirely by donations. Click the button below to donate by PayPal. For more options, visit our Donate page.